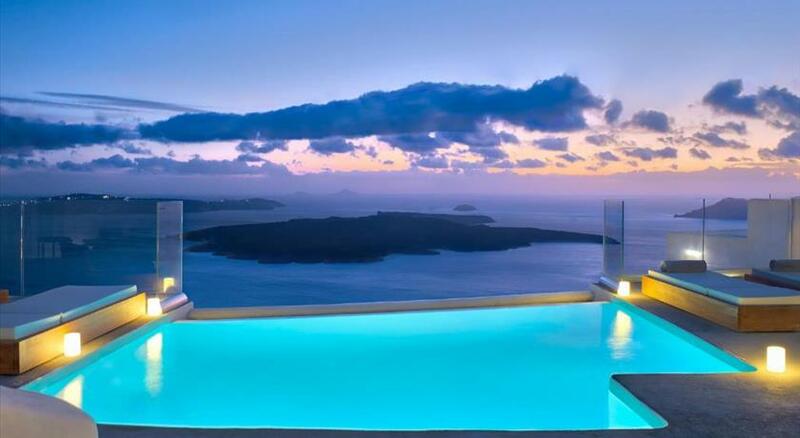 Firostefani is a village situated on the north side of Fira town, the capital of Santorini . 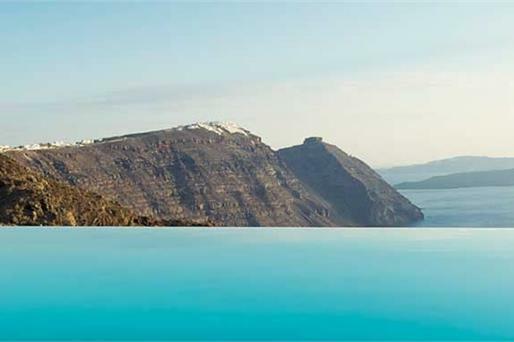 The name Firostefani, or wreath of fira in greek, was inspired from the high altitude in which the village is located. 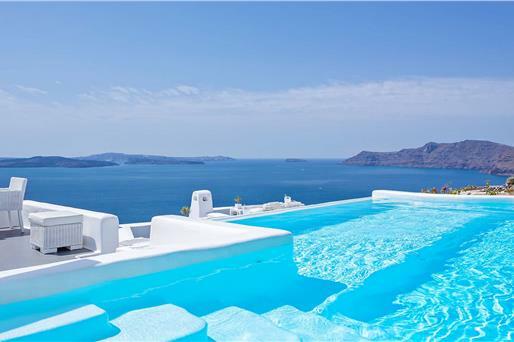 It is characterised by its traditional homes, picturesque streets & majestic volcanic views.
" 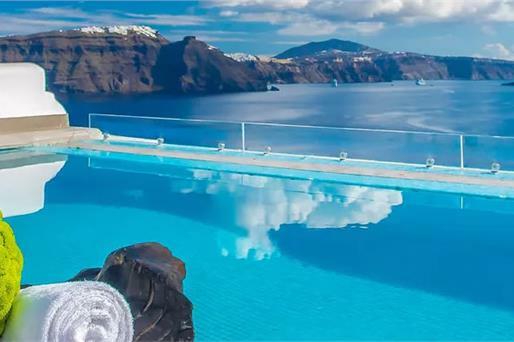 Morfes Luxury Residence " is located on the peak of Firostefani with a panoramic view overlooking the scenic village , the volcano and the Aegean Sea . 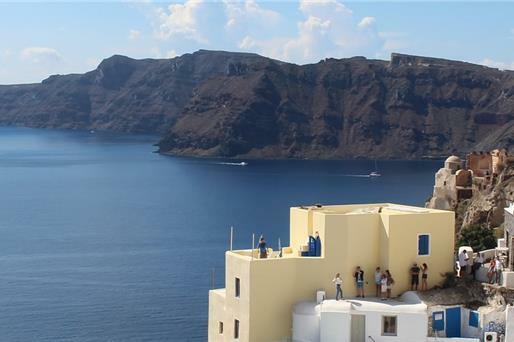 The center of Fira is a short 15 minute walk while the lack of stairs and parking space within a walking distance of the residence makes it also ideal for the elderly. 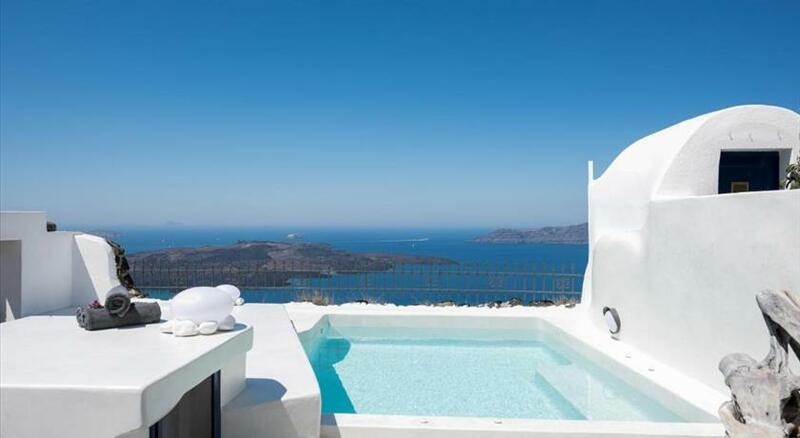 Offering a hydromassage tub and a spacious sun terrace with Aegean Sea views , the traditionally built Morfes Luxury Residence is located at Firostefani area of Santorini Island. It features a fully equipped unit with free Wi-Fi. 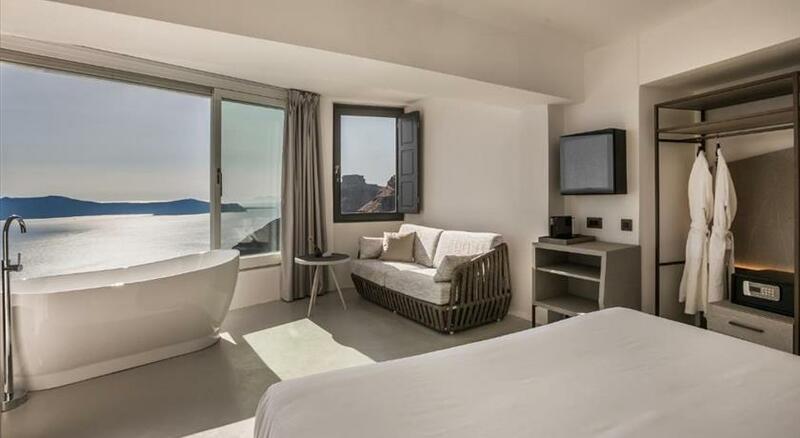 Fitted with white-wooden furnishings and elegantly decorated, this air-conditioned, 1-bedroom villa of Morfes comes with a walk-in shower. It has a flat-screen, satellite TV and a kitchen with stove and dining table. 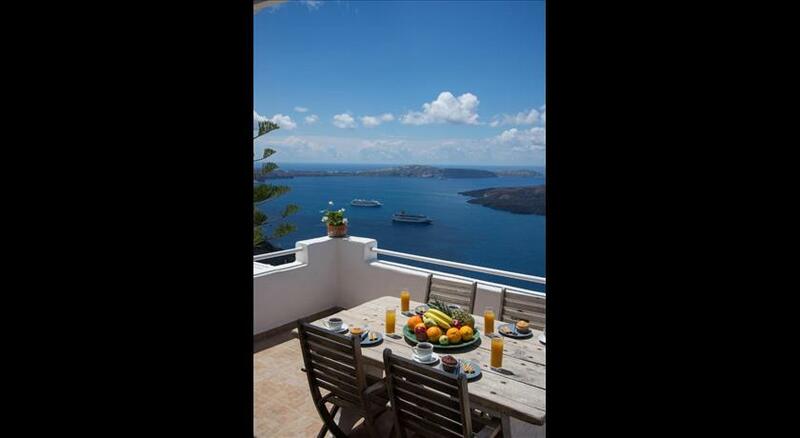 Guests may enjoy the sea views whilst sitting at the outdoor dining area of the sun terrace. Services such as laundry and car hire are available upon charge. 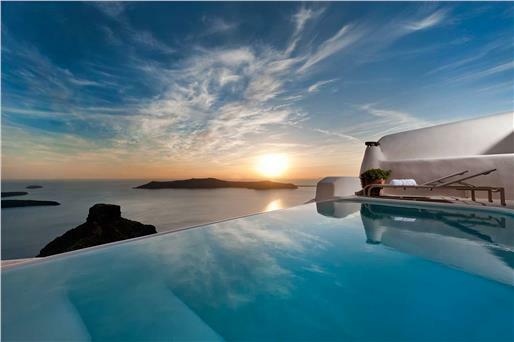 The island's capital, Fira Town with several restaurants and cafe bars can be reached within short walking distance. 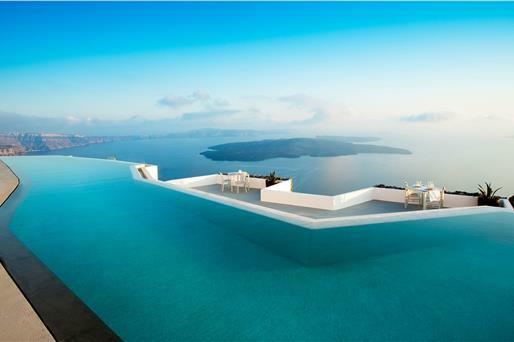 Santorini Airport is 7 km away, while Athinios Port is approximately 9 km away. All children are welcome. All children under 2 years stay free of charge for children's cots/cribs. All further older children or adults are charged EUR 60 per night for extra beds. The maximum number of extra beds in a room is 1. Please inform Morfes Luxury Residence in advance of your expected arrival time. You can use the Special Requests box when booking, or contact the property directly with the contact details provided in your confirmation.